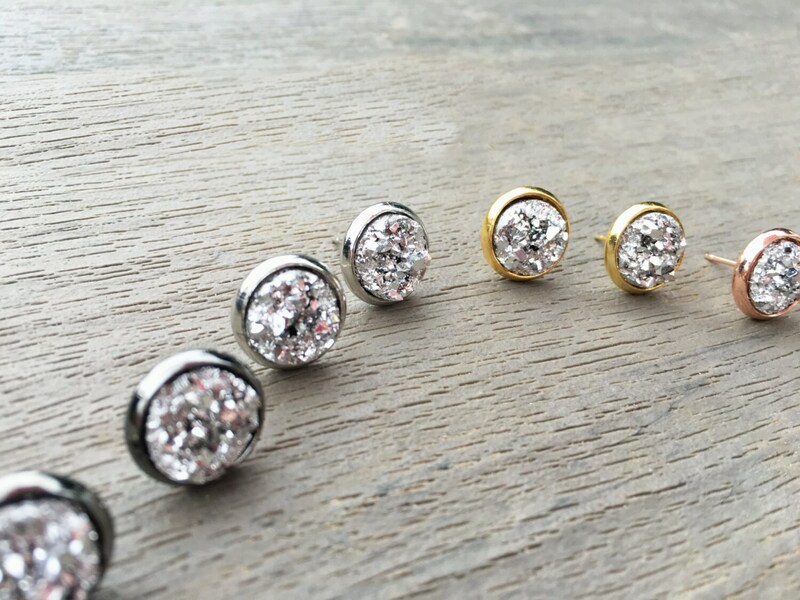 These little sparkling silver druzy studs sparkle and shine beautifully, and make a strong statement! 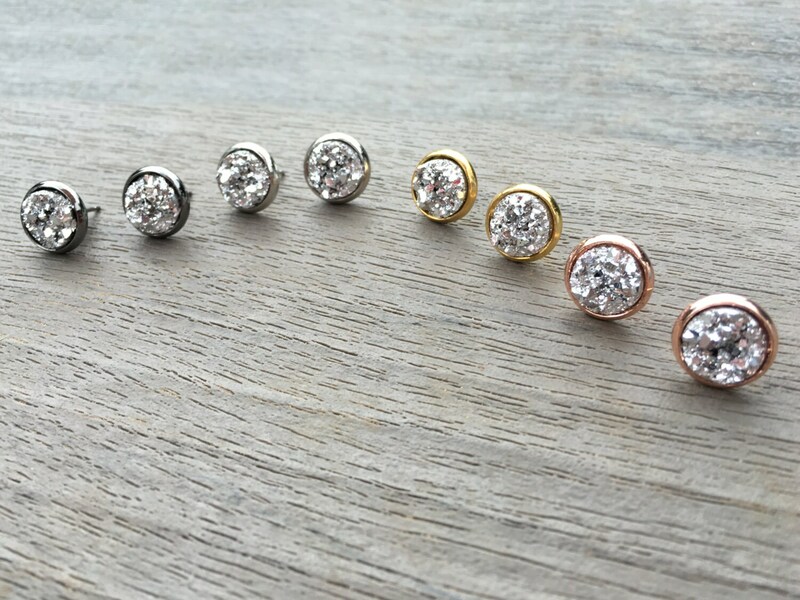 Lightweight and simple, these 10 or 12 mm druzy studs are the perfect accessory for any outfit. Be sure to check out withloveAbella's polished silver quartz statement necklaces -- the two are a match made in heaven! 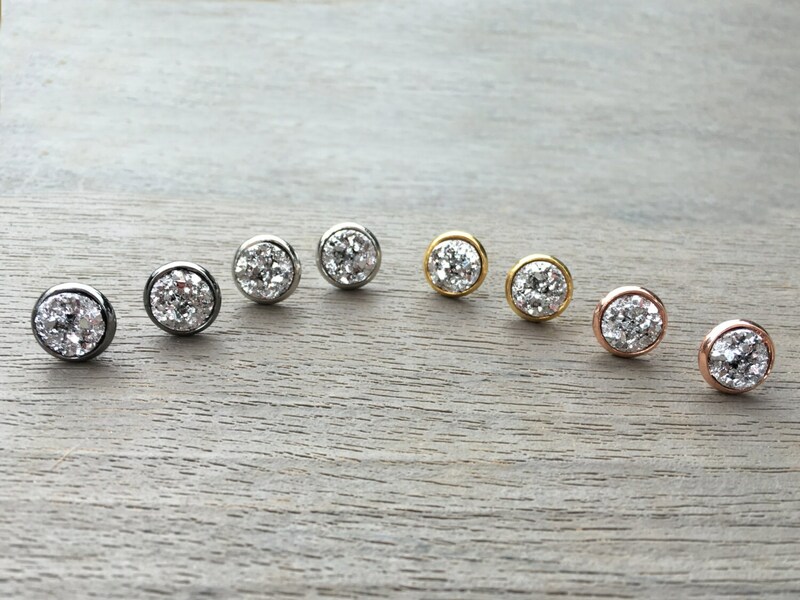 A 10 or 12 mm resin druzy cabochon is set in an earring post, you choose the metal finish! 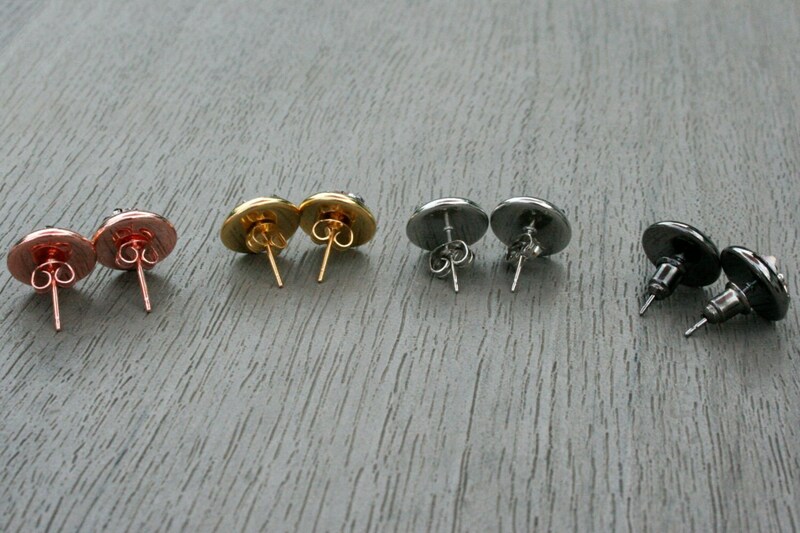 Options include gunmetal, silver plated brass, 14k gold plated brass, and 14k rose gold plated brass. 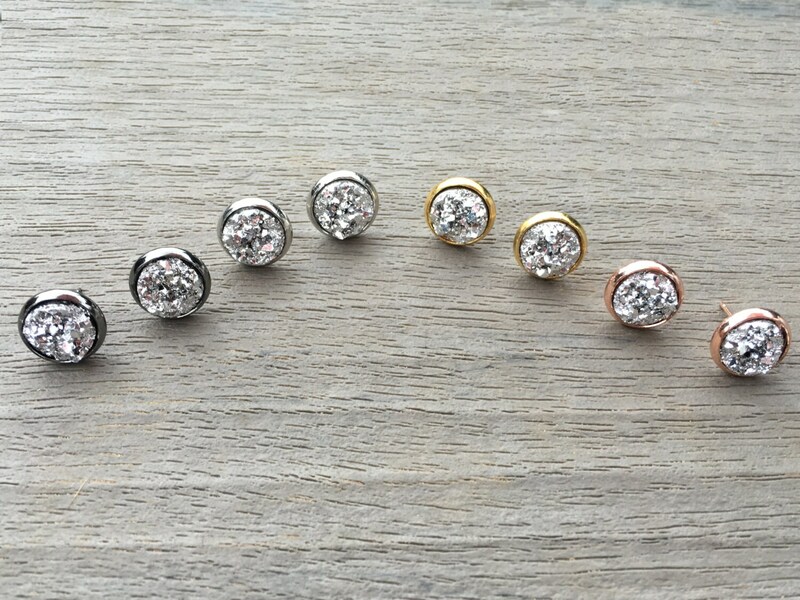 They're as gorgeous as expected! !